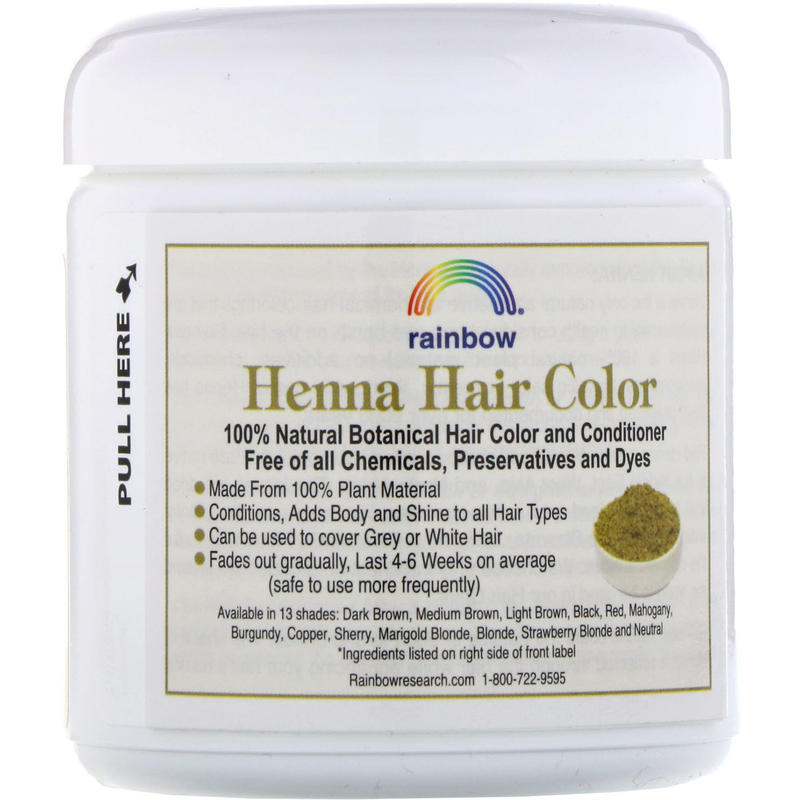 Preparation Directions - Rainbow Henna may be applied on wet or dry hair, but it is important that the hair be clean and free of any hair sprays, gels or conditioners. If you wish to shampoo first, towel hair dry before applying. To help cover grey or white hair mix powder with coffee or tea and 1-2 tbs of apple cider vinegar. *See below for specific instructions based on desired results. Coffee or Black Tea (English Breakfast, Darjeeling, Ceylon): To help tone down red tones, deepen brown- red tones, or cover grey/white hair, substitute coffee/tea for water. Use brewed, black coffee not instant. You can wear plastic or rubber gloves to avoid staining your hands, although Henna does not typically stain the skin or scalp. Henna is heat activated and we recommended using it shortly after it is mixed. Black, Red, Sherry, Mahogany, Burgundy, Dark Brown, Medium Brown, and Copper- with heat 45-60 minutes; without heat 60-75 minutes. 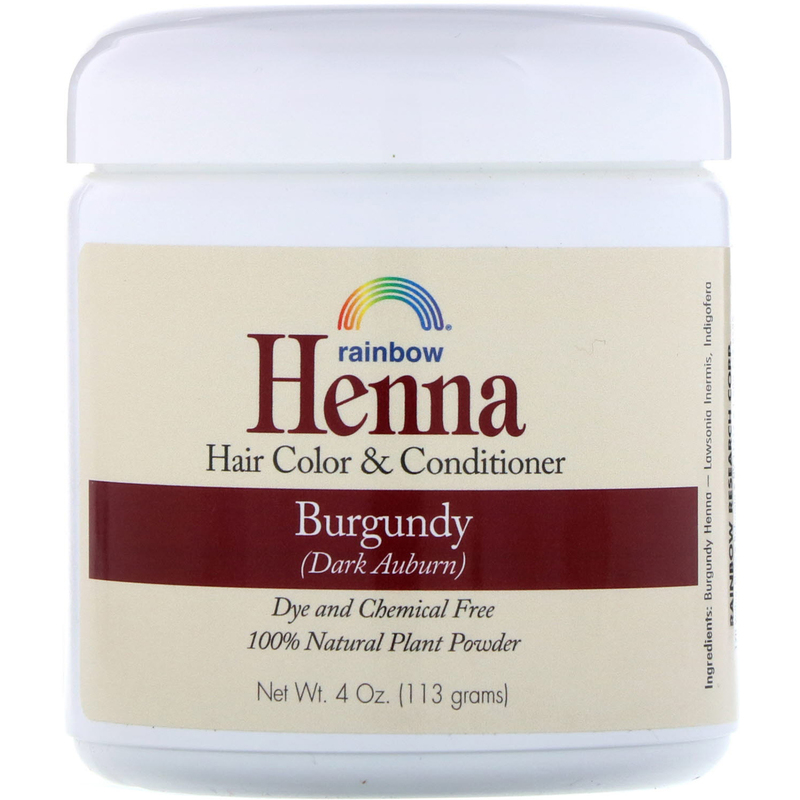 Strawberry blonde, blonde, marigold blonde, light brown and neutral-with heat 30-45 minutes; without heat 45-60 minutes.